by Jim Beisner, President, OX5 Aviation Pioneers, VAA# 30609. The first best kept secret is the OX5 engine that powered most military planes. 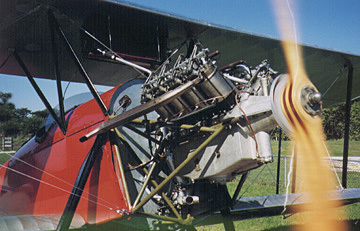 The JN-4 Jenny, the Canuck and most civilian aircraft prior to 1930, sported OX5 engines. The OX5 brought aviation from the Wright Brothers up to the modern aircraft with round and horizontally opposed engines that we have today. Over 12,000 were built. Some of the aircraft that used the OX5 are the Travel Air, the WACO 9 and 10, American Eagle, Alexander Eaglerock, Fairchild KR-31, Lincoln Page PT, Laird Swallow, and a number of others. Glenn Curtiss who had begun building motorcycle engines in 1902 designed the engine. The demand for more power for planes and boats required more cylinders. The first of the V-8 aluminum-cased engines was designated as the ‘O’, and each experimental modification was designated as X, X2, X3, etc. The first of these OX engines to fly was in an airplane designed by the Aerial Experiment Association (does that seem somewhat familiar?) in 1908. It was the first to have both ailerons and landing wheels. Officials of the US Navy placed their first order in 1912 and the US Army Signal Corps were using their fleet of JN-4’s to chase Poncho Vila down into Mexico. Poncho has not been found and the Jennies have not returned yet. 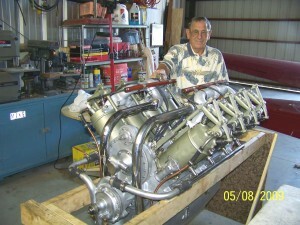 The last of the OX series is the OXX6 engine. It offered over 100HP and a dual ignition system that solved the greatest problem of the earlier engines. The history of the OX5 Aviation Pioneers is written by those who lived it. Cliff Ball, (originator of the historic Ball Airlines) along with Charlie Carroll and other Pittsburgh aviators, was the originators of this historic organization. The word got out over 100 interested aviators asked to be part of the group. They were called The OX5 Club of America and at their second reunion in 1957, 3,257 members were registered. By 1985, the membership had swollen to 12,800 members. Twenty-two local groups were certified and called Wings. Recognition has been given to members of this prestigious organization with the Hall of Fame Award being presented to over 200 outstanding aviators. And the beat goes on. After all these years, a group of over 1000 members is proudly continuing the organization and the legacy of those distinguished men and women who flew and maintained the OX5 powered aircraft throughout the Golden Years of Aviation. For more information, visit OX5 Aviation Pioneers (OX5.org).